PoPville » This Week in Scuttlebutt – Chaia (vegetarian tacos) Coming to Georgetown? “We are honored to be nominated DC Tastemakers based on our innovative “plant-based” tacos. We sell them on a weekly basis at various markets and pop-up venues throughout DC. 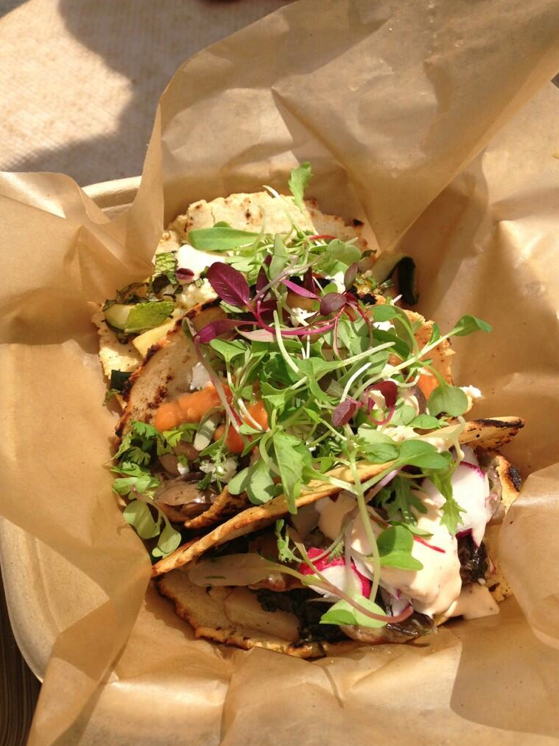 The Washington Post reported: “Trying to find the Chaia taco stand at the farmers market? Just look for the longest line.” We use fresh, locally sourced ingredients to create and inspire our menus each week. As one of the White House Pastry Chef’s tweeted after a meal from Chaia “these tacos are life changing and healthy too”. All tacos are served with handmade corn tortillas, topped with microgreens and our special chipotle yogurt sauce.